Databinding enables bidirectional access to data from UI controls. 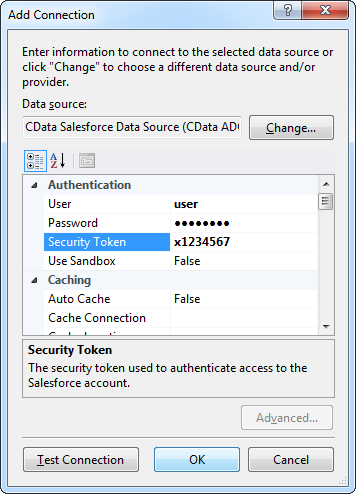 You can use the CData ADO.NET Provider for Salesforce to easily databind Salesforce data to Windows Forms and Web controls in Visual Studio. This article shows how to use wizards to databind Salesforce data to a chart that reflects any changes. 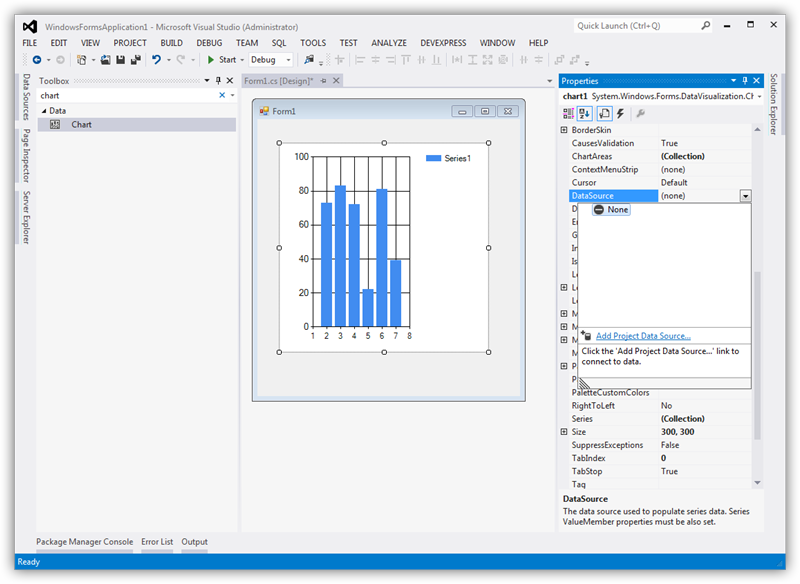 The code walk-through section shows how to create the same chart in 10 lines of code. Databinding consists of three steps: Instantiate the control, configure the data source, and databind. 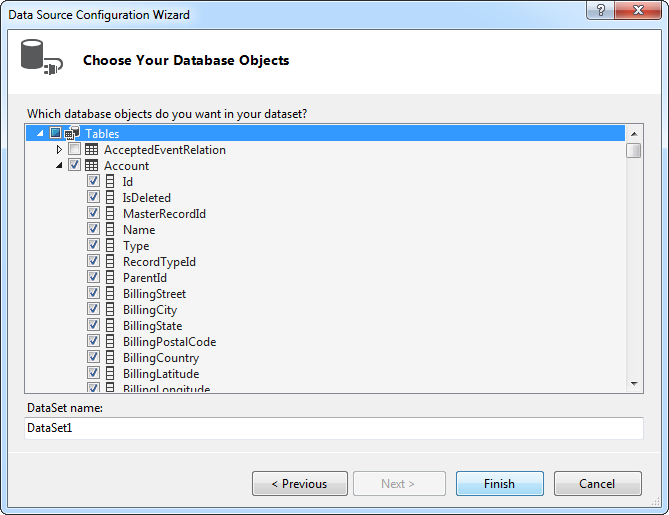 In the following section, you will use the Data Source Configuration wizard to accomplish these three steps. In the code walk-through section, you will recreate the same chart from code. Follow the procedure below to use the Data Source Configuration Wizard to create a chart control and create a connection to Salesforce. In the wizard, you can select the Salesforce entities you want to databind. 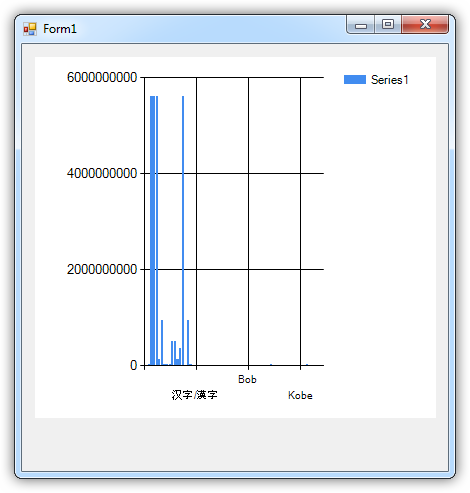 In a Windows Forms project, drag and drop a Chart control from the toolbox to the form. 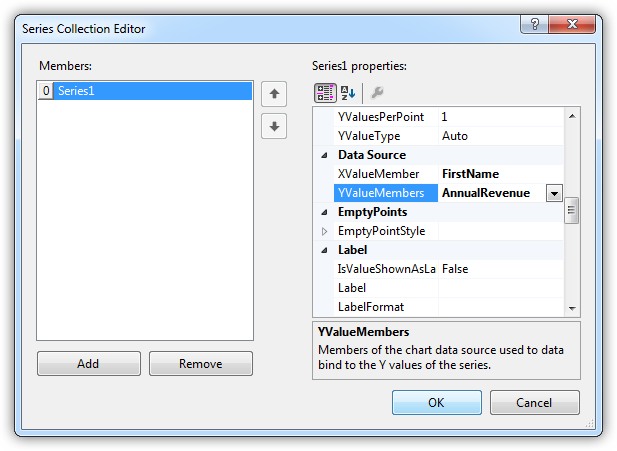 In the Chart properties, select DataSource and then select Add Project Data Source from the menu. Choose the database objects you want to work with. This example uses the Account table. After adding the data source and selecting database objects, you can bind the objects to the chart. This example assigns the x-axis to FirstName and the y-axis to AnnualRevenue. The chart is now databound to the Salesforce data. Run the chart to display the current data. Databinding to Salesforce data requires only a few lines of code and can be completed in three easy steps. Create a SalesforceDataAdapter to execute the query and create a DataSet to be filled with its results. // Insert code for additional chart formatting here. To help you begin charting using the Salesforce Provider, download the fully functional sample project. You will also need the Salesforce ADO.NET Data Provider to make the connection.